"Need a little color in your life? Have a drab corner that needs to be fab?! Well then boy do I have the side table for you! 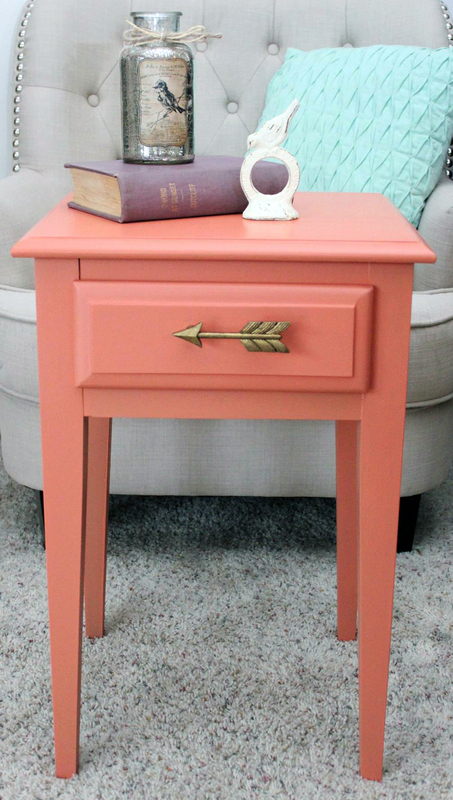 This coral cutie has been painted in a custom mixed shade of General Finishes Milk Paint. Both the table color and drawer color were my own custom color creations. You know I just can't leave well enough alone...I couldn't stop myself from mixing up the exact colors I had in my head for this one. GF Milk Paint gives such a smooth finish. 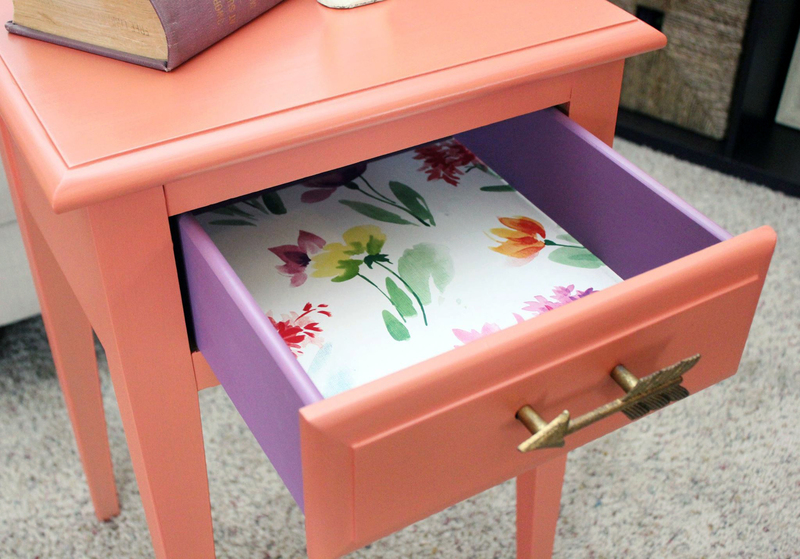 The pop of purple and floral paper were meant for this table. As was the AMAZING brass arrow hardware. This piece will surely brighten up any space." - Re-Created Furniture The coral color is a mix of 4 parts Persimmon, 2 parts Coral Crush and 1 part Somerset Gold. The drawer color is a 50/50 mix of GF Evening Plum (discontinued color :( ) and Antique White.